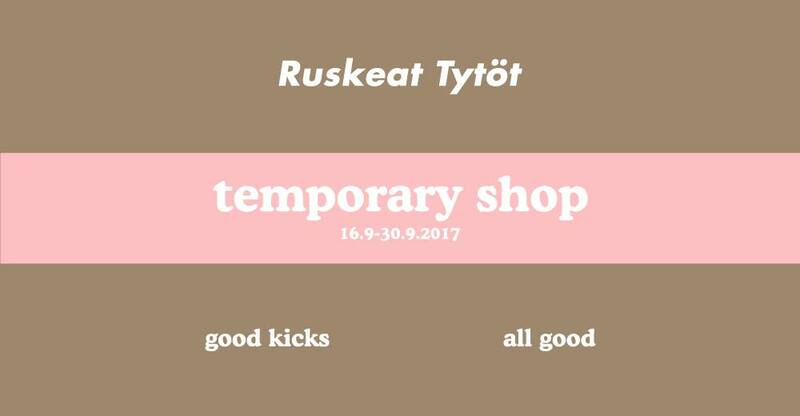 We're proud to announce a two week takeover by Ruskeat Tytöt media platform.Our boutique will be transformed into open space for panels, spoken word poetry sessions and other special projects. Ruskeat Tytöt is a Finnish media platform for brown people by brown people, as well as for everyone who appreciates diverse, high quality content ranging from politics to culture and fashion. Ruskeat Tytöt aims to create a space for the stories that often remain untold, the visions that are continuously unseen, and the voices that are often unheard by mainstream Finnish media.